As co-founder and chief executive officer of Evolution Digital, Chris Egan oversees strategic direction and management leadership. 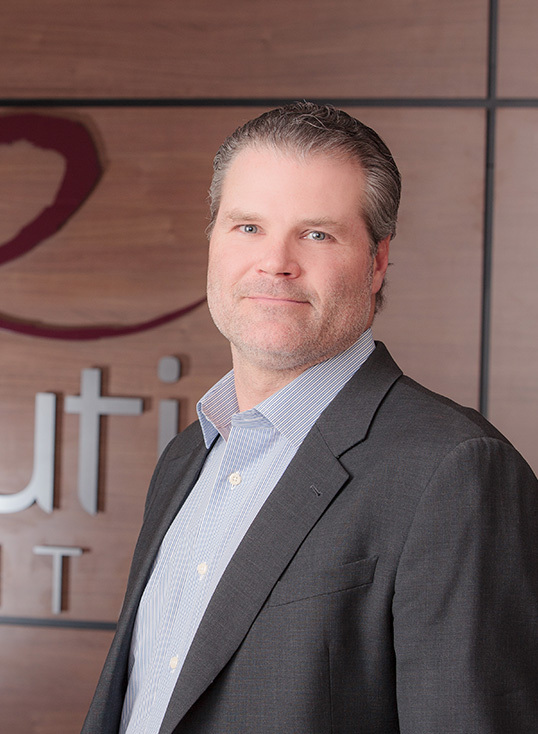 Chris’ leadership focus at Evolution Digital is spearheading a competitive advantage in the new age of video viewing, which is increasingly veering towards streaming on connected devices both in and outside of the living room. Chris navigates this complex pay-TV landscape by finding the right technology partners to develop services that fit Evolution Digital’s growing number of customers and their many needs. Chris also understands the challenges facing pay-TV operators, so he can best cater the company’s practices towards developing road maps for customers to thrive not only in their video businesses, but also as they progress into bundling high-speed Internet, as well as future technologies for consumers, including Internet of Things (IoT), into a unified and robust platform. Once operators transition to an all-IP video solution using Evolution Digital’s state-of-the-art products, they can layer in additional functionalities in their offerings, enabling cost-effective innovation for future-proofing with a fully-integrated whole-home offering. As Evolution Digital moves into its second decade, Chris is steering the organization into focusing on software-as-a-service (SaaS) and IP video solutions, providing higher margins and stronger earnings for the company, its partners and its customers. Chris’ vision and strong customer relationships position Evolution Digital as a leading provider of IP video solutions for the global pay-TV industry. Evolution Digital has undergone a great transition from having been solely focused on set-top boxes to now being an end-to-end IP video solutions provider. Under Chris’ leadership and direction, Evolution Digital now offers the acclaimed eVUE-TV content delivery platform, available on both eSTREAM, powered by Android TV, all-IP streaming box, as well as third-party retail devices, such as Apple TV®, Roku®, iOS® and Android™ mobile. Customers enjoy the video experience through eMERGE, the ultimate app-based user interface, providing premium entertainment features such as aggregation of OTT content, deep linking and universal search across all content, advanced trick-play and operator-customizable menu categories, campaigns and featured programs for seamless navigation and discovery. Prior to Evolution Digital, Chris co-founded Evolution Broadband, a company focused on distributing cable wiring and connectors in North America. Earlier in his career, Chris worked at Arris. He earned a Bachelor of Science degree from Miami University in Oxford, OH. Chris enjoys spending time, such as playing sports, with his three children.